Frankie Robertson, an Amazon All-Star author, writes romantic fiction with an otherworldly twist. She is the author of the romantic fantasy series, Vinlanders’ Saga, and the urban fantasy/paranormal romance series, Celestial Affairs and Celestial Affairs: The Trust. She is also the author of stand-alone paranormal mystery VEILED MIRROR. As a reader, her first love was science-fiction and fantasy, but then she discovered the romance genre. Now she enjoys blending the two. 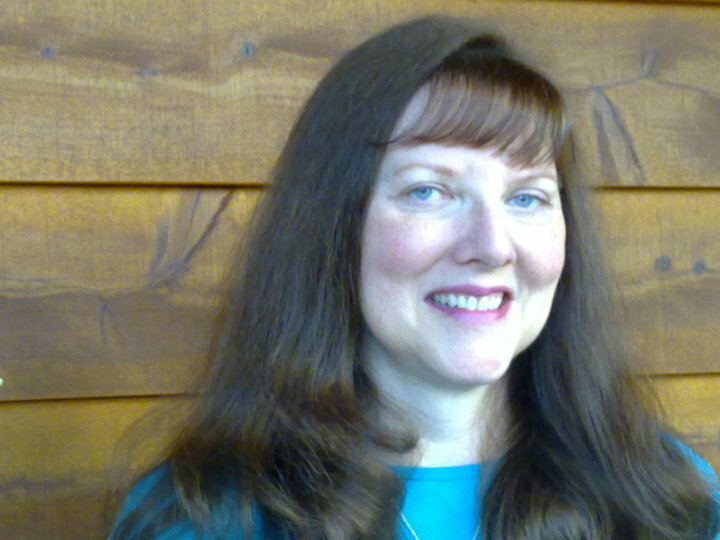 With a background in real estate, occupational therapy, and paranormal investigation, she brings a diverse experience to her stories. It was her stint with the Western Society for Paranormal Research that inspired certain aspects of VEILED MIRROR. A military brat, she moved three times before the age of eleven, living in California, Ohio, and Virginia before settling in southern Arizona. She met her own romance hero at the University of Arizona where she got a BA in English Lit. After a couple of years in upstate New York she and her husband moved back to Tucson, where they have a back yard that is regularly visited by hawks, bobcats, lizards, and quail, while the coyotes sing from beyond the fence. Frankie has seven novels available, with DARK WINTERS NIGHT, a novella set in the Vinlanders’ Saga universe, debuting in June of 2018. She also writes sensual Victorian romances as Francesca Rose. Please visit her “What’s New” page where she’ll be posting information about forthcoming publications and appearances. You can contact Frankie via email at Frankie Robertson @earthlink.net (no spaces) or through her Facebook page. I wrote several short stories before I attempted a novel. The first novel I completed was DANGEROUS TALENTS. My first book published was VEILED MIRROR, which was actually the third novel I finished. That’s a hard question, but at the moment I’d have to say, FORBIDDEN TALENTS. It was the most difficult book in some ways because I had to handle four major characters’ points of view. But I really enjoyed putting Ragni through hell and making him earn his happy ending. My most recent book, DARK WINTERS’ NIGHT, was also a lot of fun to write. Which books and authors have influenced your writing? Tolkien’s Lord of the Rings and C.S. Lewis’ Chronicles of Narnia had a huge impact on me. Early influencers that shaped my basic approach of combining romance with fantasy are Andre Norton, Anne McCaffrey, Joy Chant, and Marion Zimmer Bradley. More recently I’ve found new authors that I love like Patricia Briggs, Grace Burrowes, Grace Draven, and Jeffe Kennedy. And hundreds of others! Why did you choose to become an Indie Publisher? I wanted readers to see my work. To a large extent, traditional publishers choose books they think will make the company a lot of money quickly. That’s business. As an Indie I can grow my audience over time. And in the end it’s that audience, the readers, who are the final arbiters of what’s good and what isn’t. My biggest challenge as an author-entrepreneur is getting those readers’ eyeballs on my work so they can decide if they like it or not. I’d start self-publishing at least a year earlier. I spent a lot of time researching and dithering before I finally pulled the trigger. I’d concentrate more on building my series (although I really enjoyed writing YETI IN THE MIST which I wrote because I couldn’t come to grips with GUARDIAN). Why did you decide to use a pseudonym for your Victorian Secret Romance books? Basically it was a branding decision. I wanted readers to be able differentiate at a glance between the sexier Francesca Rose stories and Frankie Robertson’s romantic fantasy and paranormal romance books. I’ve left plenty of breadcrumbs to lead them from Frankie Robertson to Francesca Rose if they want to read both. I once debated the relative merits of the various forms of Reese’s Peanut Butter cups with the late Randy Castillo (Ozzy Osbourne’s drummer). We agreed the holiday ones are the best. I can understand your wild creatures experience. Hope life is well with you, Frankie Robertson. I’m so proud of you I could burst! I can’t wait to read the Veiled Mirror. This is proof that hard work and determination actually can pay off sometimes. Woo-hoo, way to go! Thank you, Goat Lady! Do you know you’re an inspiration to me? You decided what you wanted, and went for it. Thanks, Leila! I hope I see you on the stand soon, too! Frankie, I’m the ConNotations reviewer you met at TusCon, to whom you were so kind as to give a copy of Lightbringer. I just finished it and I enjoyed it tremendously. I am seriously looking forward to writing this review! And when is the next Celestials book coming out? May I become one of your advance Readers? I remember you, Chris. Thanks! I’m so glad you enjoyed it! I’d love to have you be one of my advance readers. I’m glad you thought the proofing was good. My goal is to give good value to my readers. You can contact me those corrections you mentioned at FrankieRobertson@earthlink.net. My name is Frankie Robertson , too. I have just found your book “Hidden Talents” and am enjoying it a lot. Hello! Nice to “meet” you. And I’m glad you’re enjoying the book! Thanks, Marcia! I’m honored that you find my blog inspiring. Let me tell you, since I started trying to write a book myself, I have the UTMOST respect for anyone who has managed to go through the process successfully from start to finish. Heck, I find I’m even in awe of people who manage to write BAD books, much less ones that are successful and sell well. It’s HARD work, so you bet you inspire me! Keep up the good work! It is a learning process, that’s for sure, even on the 2nd, 3rd, and 4th books. Every book is a little different. Keep at it, and you’ll get there! Good luck to you! Thank you so much. And continued good luck to you, as you become more and more successful with your work. Whichever you choose, I’m still happy to have your link in my post, and hope that you’ll get some new followers/readers from it. Have a great day. I’m so glad you’re enjoying Dangerous Talents! I didn’t know there was a table and chairs formation near Castle Rock. I’ve only seen it from a distance, whenever I drive home. I’m really tickled to know that what I thought I’d made up (the defile with the petroglyphs) actually exists! You haven’t been on any otherworldly adventures, have you? Thank you for writing, and if you haven’t already, be sure to get your free story and sign up for my VIP newsletter. Actually Frankie I have had a few otherworldly adventures, one involving the petroglyph site. Nothing like your story of course, but a lapse in time and a glimpse of a more ancient San Pedro Valley. I do love time travel stories.